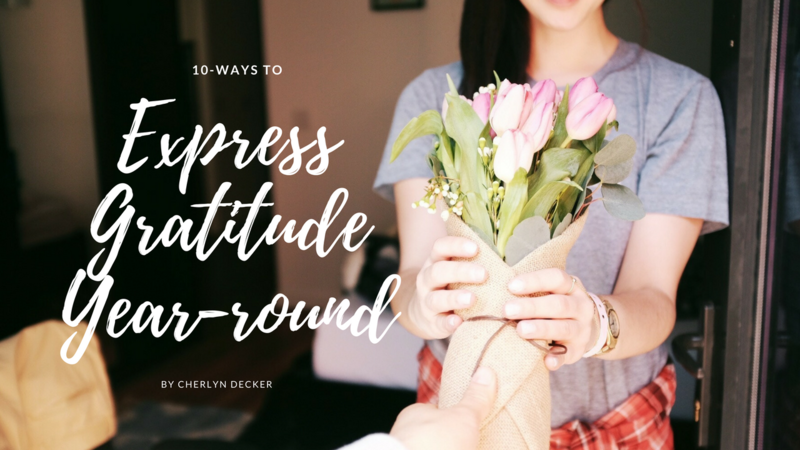 A different kind of gratitude challenge. See it - Design a calendar putting a verse or poem on gratefulness on each month. Frame it - Search Pinterest for printable gratitude verses, frame them and put them around your house. Send it - Use this card to write a hand written note to family, friends, dinner guests, neighbors, bosses, and/or teachers to tell them why you are grateful for them and mail them throughout the year. Bake it - Bake goodies and deliver them to your neighbors, local fire and police station, give them to your mail carrier and/or trash collector. Speak it - Make saying thank you apart of your daily vocabulary, for everything. Pray it - Beyond just offering thanksgiving over meals, practice saying prayers of gratitude over all your blessings. Reframe it. When the reminders of the bad times come, reflect on how far you’ve come, what you've learned and how you are moving forward to do things differently. Be sure to implement two or three, and if you think of any more ideas put them in the comments below or jump over to Facebook and join the discussion in my Mastermind Group. It would be a blessing to all of us.